The Scotsman Who Saved Me is a story I was a bit nervous about, and I have no clue why because it was really great!! 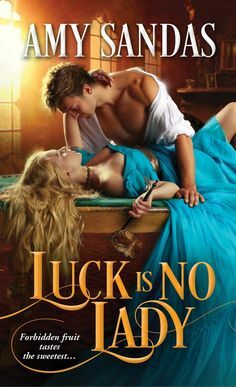 Hannah Howell has always written highlander themed romances so I must not have read the blurb enough before reading this book because I shocked to discover that a highlander romance with a passel of western fun was thrown into the mix. Now this series I can tell will be really fun. Its based on seven brothers, who are all Scots and had to leave Scotland when their parents were killed. They settle in Arkansas and man that was really different. The story, however, starts off pretty intense and dramatic and man I was bawling in the first chapter. So basically what happens is that the brothers with our lead hero Iain, discover a cabin that has been attacked. With a man and a woman being tortured and killed, but signs that there was a child that is missing. So they go in search of the child, and find him with an injured young woman who has been shot and very protective of her three-year-old nephew. They take her to their place to protect her and the child. Emily is in a dangerous situation. Her parents were murdered by a cousin and she and her sister with her sister’s husband went to America to find refuge and safety knowing that they would be next. Now it’s up to her to protect the living heir to a Dukedom, and she refuses to let her three-year-old nephew be murdered because of the greed of one man especially when his parents sacrificed their lives for them. This was a wonderful and thrilling story and I just couldn’t get enough of this book. Now it’s not one of those books that will keep you up all night, but I was always going back to this book because I was enthralled by the developments of the plot. We also see the differences in views from a Scots perspective and an English perspective. Both Emily and Iain are on opposite sides of the fence. But we also see how much they have in common. How devoted they are to the ones they love and how hard they are willing to work. For being raised an English Lady, Emily adapts to life in America very well actually. And the relationship between the brothers was simply awesome!! I mean they were a riot and so entertaining. They love to tease each other horrible especially when the lead brother is trying to court his woman…yeah they are pretty horrible in their teasing of him, but I just had a blast seeing their closeness and brotherhood. “Why do ye need to ken the how of it? ” Iain asked. How they don’t even think twice about protecting a lone woman a child from danger even at the cost of their own lives. (no worries….no one but villains are killed in this book). The romance that develops between Emily and Iain was very charming. Its a slow built up of course. They do have some powerful chemistry from the beginning. But the emotional side to their relationship builds more slowly which I really liked how Howell handled it and seeing the way Iain goes about courting Emily, and Emily doesn’t even realize it most of the time LOL. Which in some ways I didn’t fully understand how she couldn’t see the depth of feeling Iain had for her especially with how they shared their nights together. But we see how distracted she really is, especially in trying to keep calm when her enemies are trying to kill her. Now the villain of the story is really CRAZY. I mean he is really mentally insane, which makes him pretty dangerous. I had this song just humming in my head while reading this book because I just loved the brothers and Emily’s relationship with them. Gotta love this movie though.